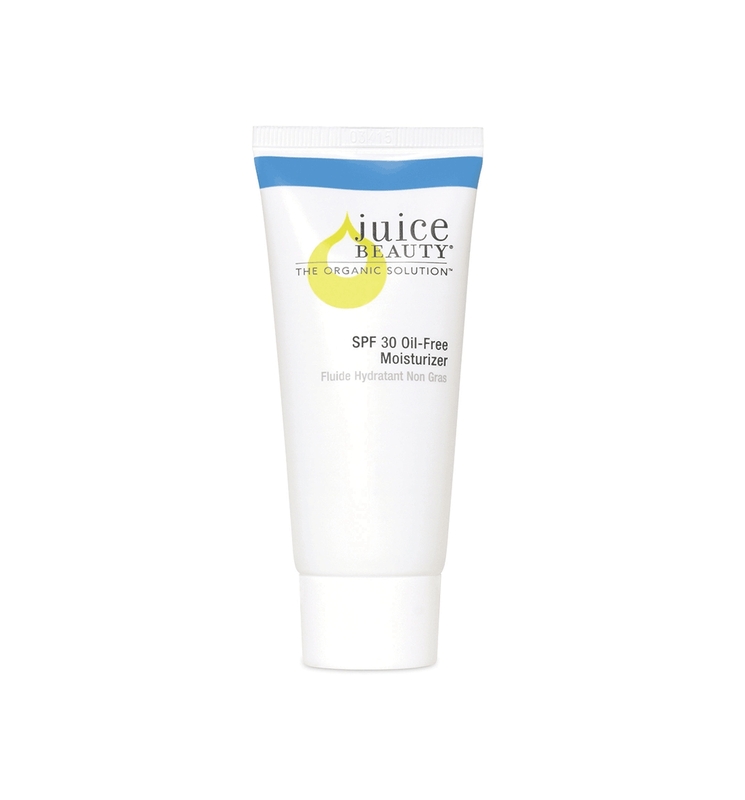 Juice Beauty’s Oil-Free SPF 30 Moisturizer is designed for oily, combination, and blemish-prone skin types. Protects with broad spectrum non-nano natural mineral zinc oxide sunscreen. Blends & absorbs quickly with non-pore clogging moisturizing organic aloe. Hydrates and feeds the skin with algae rich nutrients. Retains & restores skin’s moisture with vegetable hyaluronic acid. Provides essential nutrients to promote healthy looking skin with Vitamins C, E & B5. After cleansing with the BLEMISH CLEARING™ Cleanser and treating with the BLEMISH CLEARING™ Serum, apply to damp face, neck & décolleté in the morning.